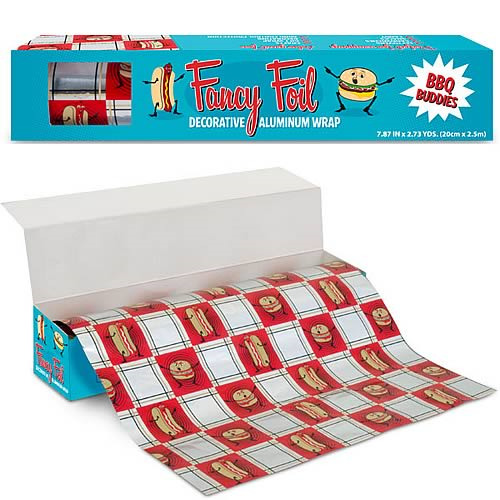 This shiny BBQ Buddies Fancy Foil is decorated with friendly anthropomorphic hot dogs and hamburgers. It's so cool you'll forget that plain boring foil ever existed. You can use it to wrap a gift or pack up food for later. 98 1/2-inches long x 8-inches wide. Not for use in ovens.